Fr. Connors left this past week to return to his studies. He is to be in Germany for the next month working on his German language skills and then back to Rome. He expects to complete his doctorate this academic year and defend his dissertation some time in the spring. It is usually a three to five year process, Fr. Connors is completing it in just two years. Keep him in your prayers. He will be back to OLM for the Christmas holiday. It’s back to school for many students and teachers this coming week! 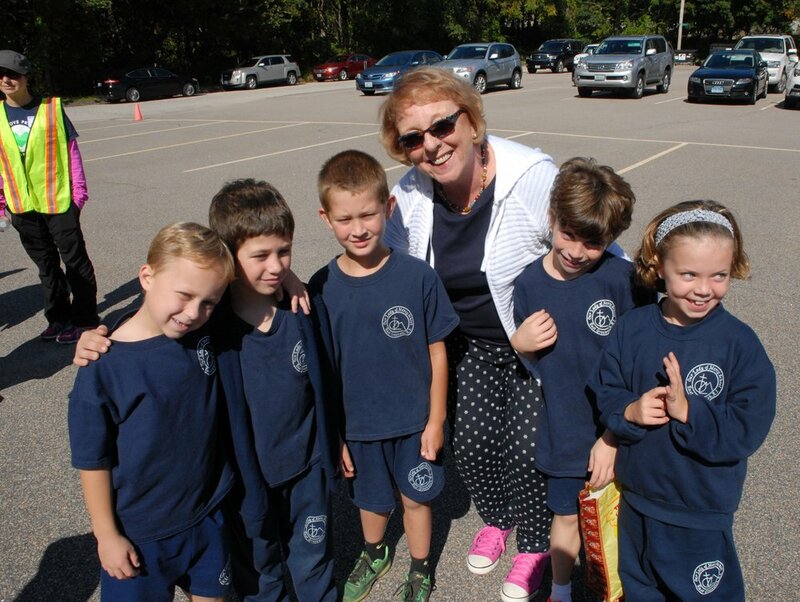 OLM School begins on Wednesday as does the Town of East Greenwich. Please keep all teachers and students in your prayers and pray they may have a productive and fruitful year growing in faith, love and knowledge. It’s hard to believe that the summer is over!! In the name of Fr. James Ruggeri and his parishioners, I wish to thank the many OLM parishioners who were so generous to the recent Backpack Drive. Thanks to your generous support we were able to deliver 125 backpacks full of school supplies to some very happy and grateful children at St. Patrick’s Parish in Providence! I thank our OLM Confirmation Candidates who helped organize and assemble all the backpacks and also Mary Anne Weaver and Kathy Hall who coordinated and delivered the backpacks! Now that the summer is drawing to a close and September arrives this week please note a couple of changes in our schedule. The 5:00pm Mass on Sunday evenings returns next Sunday, September 3rd for those who like a later Mass on Sundays. Also First Friday Eucharistic Adoration returns on this Friday, September 1st. As always we are in need of people to sign up for prayer and adoration before the Blessed Sacrament. Speaking of the schedule, please add to your list of events on your calendar the First Annual OLM Golf Tournament. It takes place on Monday, September 11th at the Quidnessett Country Club. There are a limited number of foursomes but there are still a few left for any OLM golfers. Also if you or your business would like to support this great event with sponsorship there are ample opportunities. We are also looking for a sponsorship of a clergy foursome for some of our retired priests. You can find the details about the OLM Golf Tournament on our parish webpage. Just click the link and all the information about foursomes, the dinner, and sponsorship is readily available. You can register online or in person at the Parish Office. Thanks for your support! Speaking of the parish website, have you taken a look at it lately. Thanks to the hard work of Fr. Barrow and our Parish Secretary, Sandra Demers, we have a newly redesigned webpage. You can find it at olmparish.org and olmparish.com, so go take a look. I think you will like the improvements made on it and some of the new content. It is a work in progress and we are still continuing to add more information and content. Our school is now graced with a new school sign. It matches all the other signage at the parish and replaces the old sign that was rotting and kept falling down. I hope you like it! Paul Anderson and the hard working OLM Maintenance crew have OLM School in tip-top shape for the first day of school. They’ve worked tremendously hard these last few weeks, cleaning, painting, landscaping and waxing floors! I am grateful for their dedication to keeping OLM Parish and School a beautiful place to worship and praise God!